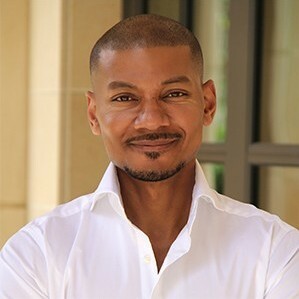 Cedric Berry is the program coordinator, manager and student advisor for the Film & Television Production Division. Berry received his music diploma from Interlochen Arts Academy and both his bachelor's and master's degrees in music from the University of Southern California. While obtaining the master’s, he also earned a certificate degree in College Student Personnel Services from the USC School of Education. Berry also maintains an active career as an operatic vocalist, both nationally and internationally. He has performed roles with the Los Angeles Opera Company and has appeared as a guest soloist with The Pacific Symphony, The Arizona Symphony, The Bakersfield Symphony, The Fresno Philharmonic, The Santa Fe Symphony, The Luckman Jazz orchestra, The New West Symphony, The Pasadena Pops Orchestra, The California Philharmonic and The Los Angeles Philharmonic. In addition, he has been the recipient of several awards including first place in the Metropolitan Opera Western Region Competition. His film credits include Nothing So Strange – Remembrance Ceremony Singer and Jackson – actor, soloist.